Absentee purchase of a vehicle is unsettling, at best. 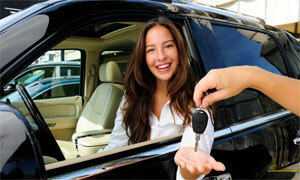 We have agents throughout the United States and Canada to sit in for you when purchasing a vehicle out of town. Our staff makes sure that the vehicle is as described by the seller. If there are any damages or mechanical problems found during our inspection, you will be notified immediately so you can renegotiate the purchase price, back out of the sale, or continue with the purchase. Our staff ensures that the title work is done properly and that all paperwork is properly executed and notarized. We can even arrange to have your vehicle transported to your home. Call us when you are considering purchasing a vehicle where you will not be able to personally attend the sales transaction. For more information, please call.